Equine Coggins Clinics are available throughout the spring. Call the office for more information! 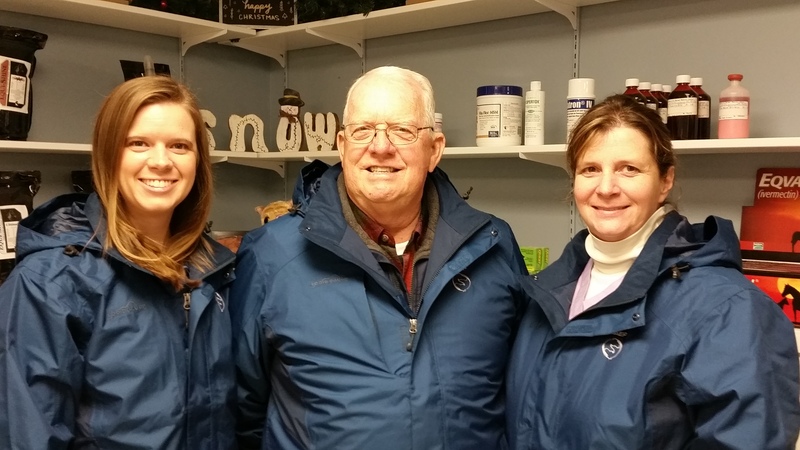 Welcome to Janesville Animal Medical Center! We are a mixed animal practice located in south central Wisconsin. Our mission is to provide you with service of the highest quality, while keeping your pets healthy and giving you peace of mind. We want to get to know you and your pets and build a strong relationship so that together we can make sure your animal companions live the best life possible. When you visit our clinic, you will find both large and small animal exam rooms and surgery suites, an in-house pharmacy and laboratory and an attached stable. Our patients consist mainly of cats, dogs and horses, but we also care for cattle, sheep and goats. We provide routine examinations and preventative care, vaccinations, dentistry, general surgery, microchipping, digital radiology and digital dental radiology, ultrasound, behavior consultations, pharmacy and laboratory services, euthanasia and pet cremation. Janesville Equine Hospital & Clinic is what we call the equine side of our practice. It is a division of Janesville Animal Medical Center, but they are separate in name only. Whether you need large or small animal care, you can find it all in the same location and by calling the same phone number. Janesville Equine offers ambulatory services for large animals in the southern Wisconsin and northern Illinois areas. Our doctors are on-call outside of regular business hours so that we may offer you emergency services for both large and small animals. We hope that you will take some time to check out our website, give us a call and schedule an appointment. We’d love to meet you! Janesville Animal Medical Center is proud to serve the Milton WI area for everything pet related. "They are super! They have taken excellent care of my feline family. They treat with love and compassion for animals!" "Janesville Animal Medical Center is the best. The whole staff is amazing and was there for us when our dog was going through a bad time. Thank you"